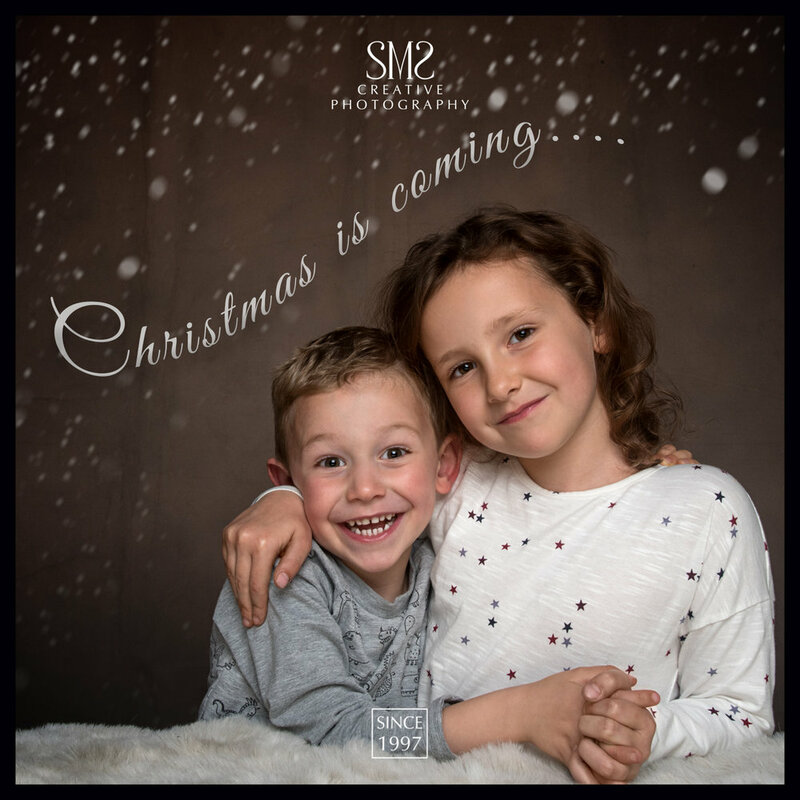 With Christmas just a few weeks away we have a selection of luxury SMS Creative Photography - Gift Box - Special Offers, for you to treat your loved ones. Each gift box contains a voucher for a photo-shoot to enjoy in 2018 - beautifully presented in a silver plated frame (tarnish resistant so no cleaning!) for the carefully crafted photograph from their photo-shoot to be displayed in. This link to the 'Christmas Special Offers' page on our website shows you the selection of exclusive gifts to choose from. Simply come into the studio or call us on 01883 722282 to pay and collect. On Sunday 13 September I attended the Goodwood Revival, I always look forward to going to this three-day festival held each September. This event isn't just for car and motor sport lovers it's an event for all the family to enjoy the whole experience of living in a bygone era, with a merry go round and lots of fun things to see, do and buy. It's an educational visit for everyone! Featuring all types of road racing cars and motorcycles that would have competed during the circuit's original period - 1948–1966. It is one of the world's most popular motor race meetings and the only event which recreates the golden era of motor sport in the UK. I love the fact that most people dress in period clothes and everything around you reflects this, from the tea stands, police boxes and memorabilia. Elegance from a bygone era. An original Land Rover Defender - still stable when tilted at 45 degrees, as these Revival visitors found out. This year the crowds witnessed a spectacular Spitfire and Hurricane display to commemorate 75 years since the Battle of Britain, in attendance were veterans who were part of the ceremony. Everything around you enhances the period of the event. The Red Coats were there too. Where did I park my Spitfire? A bit of fun "Madam you're under arrest"! Thanks for reading I'll be back in two weeks time with more news. Don't you just love this time of year with the vibrant autumnal colours by day and the variety of colours the Christmas lights project at night? Let me tell you more about photographing festive lights at night. I want to share with you the best way to photograph at night to capture how spectacular the lights look. Don't leave it up to your camera to decide what setting is best, you'll be disappointed with the results. Just follow the tips below to get the best out of your DSLR. Use a good sturdy tripod or a gorilla pod if travelling light or want to attach your camera to railings. Select manual mode on your camera. Select L file size - I like to shoot RAW as well as JPEG to record maximum data- this will use a lot more memory. Find where the delayed timer is on your camera and select 10 seconds, this will help settle your camera once you have pressed the shutter to prevent camera shake. Set your aperture to f16. Set your shutter speed to 10" (seconds). Find where your histogram is so you can check the exposure after the first shot. You may need to select manual focus if it is too dark for auto focus. First find a spot where you want to position yourself and attach your camera to the tripod, make sure it is tight and secure, especially if it is windy and/or there are lots of people walking by. You don't always have to shoot at eye level, some of the best shots taken are just above ground level, decide what you would like to create. I have taken many classes at night shooting in Westminster looking over the bridge towards the London Eye, with the camera settings as above. The benefits of the low ISO and the slow shutter speed are that it allows the camera sensor to pick up the variety of tones and colours, especially if the colours are changing during the 10 second exposure or something is moving. During the slow exposure the water on the Thames appears very smooth and the wheel is blurred. Take a look at the example below that a participant took during one of my classes. One thing not to forget is the 10 seconds you have selected to allow the camera to still itself before the exposure, most cameras flash during this time. Don't be tempted to touch your camera until after the full exposure. You can tweak the exposure by increasing or decreasing the shutter speed once you have seen the image and checked the histogram. The image below, with the trail lights from a passing bus was taken in the same way as the Oxted and Thames photograph. The skill of this image is the timing as you can miss the moment and is often trial and error, but worth the results. I hope you have found this newsletter 'Tips On Night time Festive Photography' informative, just keep persevering to achieve the results you want, it will be well worth it. You may just get the photograph you want to use as this years Christmas card. A reminder that next Saturday 6 December is the 'Love Oxted Christmas Festival' for a fun filled family day to get into the Christmas spirit. On this day only, our studio sitting offer, take a look at this link to find out more, just two appointments left. From 6 - 21 December American Express card holders can use their card with us and and they will give you a £5 statement credit, this is to promote their 'Shop Small' campaign to support local participating businesses. On Monday 14th July the scene was being set for the third Oxted Beer Festival and I was given the honour of photographing the event from construction to destruction and all that happened in between. The event took place at Oxted's very own Master Park on Church Road on Friday 18th,19th and 20th July. The marquees were supplied by Crown Marquees who did a grand job. The festival took place during the hottest week of the year, thankfully the Westerham Brewery made sure there was enough beer to satisfy the thirstiest punter! I went equipped with two Nikon bodies one with my 70-200mm lens and the other with my 24-120mm lens and Nikon Speed light. I was dipping in and out of the festival around studio and location work I had booked in. This is my account of what I saw and photographed. Oxted Beer Festival was the brain child of Peter Hanrott, he just wanted to get a few friends together on Master Park for a beer or two with some live music, some cricket on the green to raise money for the good of Master Park and for the Oxted and Limpsfield Cricket Club. This year The Oxted and Limpsfield Community Sports Association (the “OLCSA”) has been created to run the festival and hold all the funds raised so that local sports clubs can apply to the association for funding, thus all funds raised are ploughed back into helping local sports clubs and infrastructure projects including Master Park. From this tiny thought grew a fun filled community spirited festival that the locals have come to love and enjoy! With the added benefit that Peter can share it with the majority of Oxted now. Without the help of volunteers from the front gate, to the clearing up, the event would not have been able to take place. Local businesses were invited to sponsor a firkin, with over 100 opting to get their name out there and support this well attended and worthy event. This year saw a huge variety of beers to choose from that were sourced from breweries all over the country. I sponsored "First Light" at 5.5% proof, it was pretty strong even for the discerning beer drinker! I could just manage a quarter of a pint! The bar was manned by volunteers, from the ladies serving the Pimms to the men and women pulling the pints, it was a community coming together at their best, and it showed, everyone was in good spirits. All sponsors and their guests were invited to a VIP event to sample the beers from 5pm - 7pm on the Friday before the gates opened to the public and the party officially started. Having photographed the Beer Festival last year this years event was on a much bigger scale and had the same vibrant atmosphere. Friday night did not disappoint with live music from Payback to get the party swinging, I had to remind myself I was in Oxted and so lucky to have this on my doorstep! Just a tip when you are photographing bands in low lighting conditions, up your ISO to at least 1600 or better still 3200, don't use flash unless you want to kill the atmosphere! The other bands appearing over the weekend, to name a few were Eric and the Claptones, The Reservoir Frogs and on Saturday evening Randy and the Rocketts - they were all so good and got the crowds on their feet. During the afternoon families were there to enjoy a relaxing time, it was lovely to see so many familiar faces come together for a good time. If beer wasn't your tipple then you weren't disappointed as there were pitchers of Pimms to cool you down and wine, Champagne, with soft drinks too! This years main sponsor Natterbox supplied the glasses in half and one pint sizes which were given out on entry and kept by each person for the duration of their stay and to take home as a souvenir of the occasion. You could even watch the golf, cricket and F1 on the TV in the main marquee, so there really was something for everyone. Kalibazar Wanderers, Old Hamptonians CC and Reigate Priory CC who entertained the crowd. I had the opportunity to photograph the cricketers in action, some of whom were professionals from Jamaica. There was even a streaker who interrupted the game on Saturday evening, and disappeared as quickly as he arrived!! For the first timeThe Riot Bar was introduced in a separate marquee, for those who wanted to chill out and sip cocktails to a different beat. As well as supping pints there were food stalls to curb those hunger pangs including Oxted's very own "Gurkha Kitchen" and the new "Thai Pad" restaurant (well worth trying), there were pizzas prepared and cooked on site, dim sum, burgers, curries and Jamaican patties, something to suit every taste. Thanks for reading, if you didn't go this year, its well worth going to next year, you won't be disappointed! My next newsletter will be in two weeks time about my experience at the Wilton Classic and Supercar Show in Salisbury. On Friday 4th July I was very excited to be going to the Sonisphere Festival. It's a three day music event for rock and heavy metal fans. I drove to Knebworth House in Stevenage, Hertfordshire, it's been the home of Sonisphere since it started in 2009. I found out that Knebworth House is celebrating 40 years as the home of British rock music and I can see why. The park is vast with a natural bowl shaped arena and easy to get to with great links from the M25 straight onto the A1(M). I was invited to enjoy the festival by K2, the event owner and had an access all areas pass to photograph a little bit of history, and boy was I in for a treat. (I am writing this on a high on the Monday after the night before) Let me tell you more about my experience.This year for the first time Iron Maiden and Metallica were headlining at the same festival. It had been a while since I had attended a rock festival, so I prepared well and made the most of my three days. The layout of the festival was well structured. A few days prior, this was just park land, and now there are porta cabins as dressing rooms, toilets, showers, marquees for food, drinks, crew catering, guest hospitality, and two huge stages (Apollo and Saturn) and three smaller stages (in marquees). You could get a new tattoo, buy a new outfit and have a ride on all the fairground attractions. There were bands performing from morning until late at night, with a choice of exciting entertainment until the early hours (they even had a silent disco!). It was interesting to see the array of accommodation on site, which ranged from a one man tent, to very comfortable Winnebagos complete with all the mod cons, home from home to chill out and recharge. There really was something for everyone. The array of food kiosks available was enough to suit any diet and palette, I was spoilt for choice. You could sense the excitement and fever in the air, the 50,000 plus fans were there for a good time and they weren't disappointed. Behind the scenes was very calm. Everyone got on with their duties; the production team, the caterers, the engineers, sound and lighting, hospitality, press office the golf buggies ferrying crew to the main stage and the limousines driving the artists back stage to take centre stage. On Saturday, Iron Maiden's front man Bruce Dickinson had taken to the skies and flown a 1977 fokker tri plane as part of the First World War memorial. He was joined by members of the Great War Display Team, who together staged an eight-plane dogfight above a wooded area next to the festival site, with commentary and machine gun fire playing throughout the display, this really got the crowd in the mood for what was to come later. Just before 9pm the fans gathered in anticipation in front of the Apollo stage. Iron Maiden were playing their last concert of a three year tour. The roar of the crowd as they joined the stage was incredible. From back stage I was escorted through the crowds with precision weaving, to take my position in the mixing tower a few hundred feet away from the stage. I felt so privileged to have been able to take photographs from this magnificent viewpoint, with a sea of fans below either side. I was swept away by the pure theatre and precision of their performance, it became very clear why they have been so successful for the past thirty plus years, and are one of the most well respected bands in the world! I got a snap shot of the end result and photographed the artists doing what they know best during the first three numbers of their performance. Especially during Metallica's performance, I could feel the music reverberating in the cavity of my chest - the atmosphere was "on fire". Seeing around 50,000 people of all ages, all walks of life and countries having a good time was a surreal experience, enhanced by the sun going down. I was able to take time out behind the scenes and speak to the crew and band members about their experiences, including Martin Mickels from Oxted who was playing with his band Empire Kill and with his "roadie" Randy from Oxted's very own Randy and the Rockets. I got to photograph Iron Maiden, Metallica, Deftones, Gary Numan, Limp Bizkit, The Lounge Kittens, Little Matador and others, it was an experience to listen to the bands, some I hadn't heard of before. All I can say is WOW, and WOW - what an amazing, exhausting, exhilarating experience!! A huge, huge thanks to my hosts for looking after me so well and enabled access all areas to what was a first class festival. I can highly recommend Sonisphere to all you music lovers out there for next year, you don't have to be a big rock or metal fan, I wasn't, but I certainly am now. Thanks for reading, my next newsletter will be in two weeks time about the Masterpiece Fair in Chelsea.